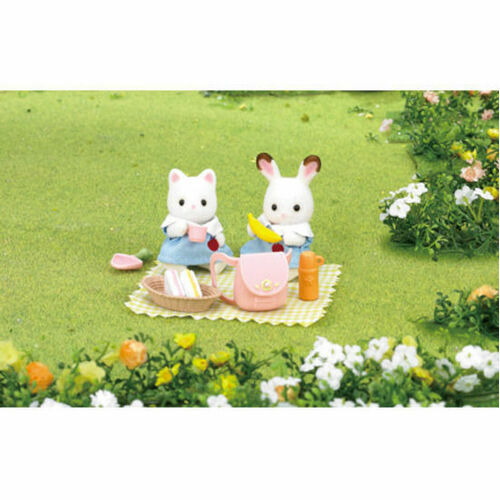 Gilly the Silk Cat Baby loves a good picnic! 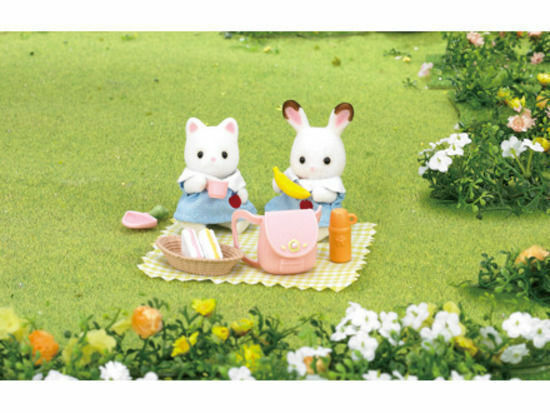 She has come prepared with a chequered picnic mat, a wicker basket, an orange flask, a cup, 2 sandwiches, a banana and a pink rucksack and handbag to store all her goodies in! 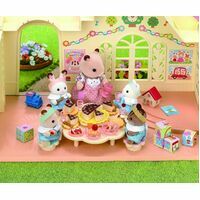 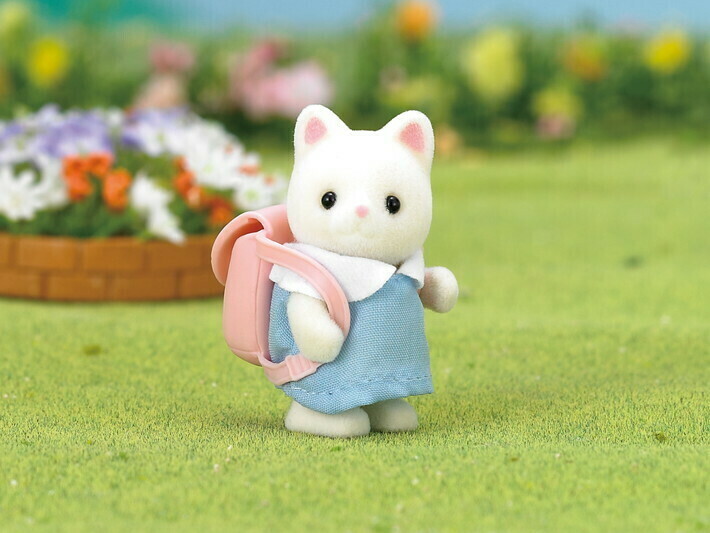 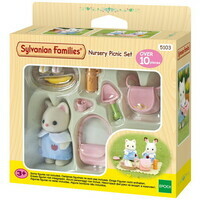 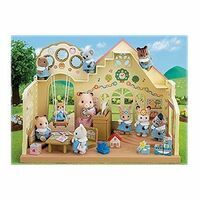 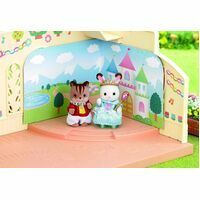 Like all residents of Sylvania, Gilly loves to play in the outdoors, so she's also packed her trusty spade. 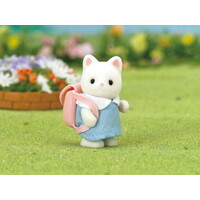 Ever conscientious, Gilly remembered to include her notebooks for practising her letters, which she has been learning at nursery. 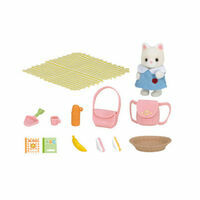 This set includes Gilly the Silk Cat Baby. 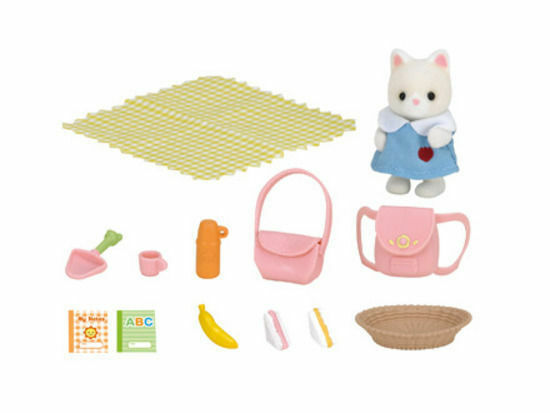 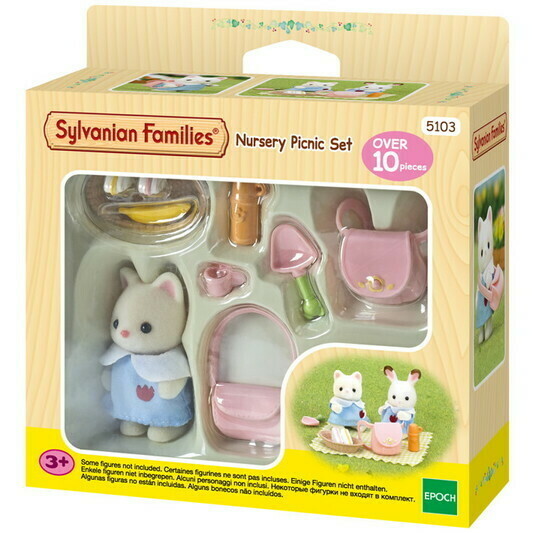 Set includes: 1 Gilly the Silk Cat baby, 1 mat, 1 shovel, 1 cup, 1 water bottle, 1 bag, 1 rucksack, 2 notebooks, 1 banana, 2 sandwiches, 1 basket.